A mother and her 4-year-old son with special needs couldn't contain their excitement when they were reunited with their dog, Rubble. 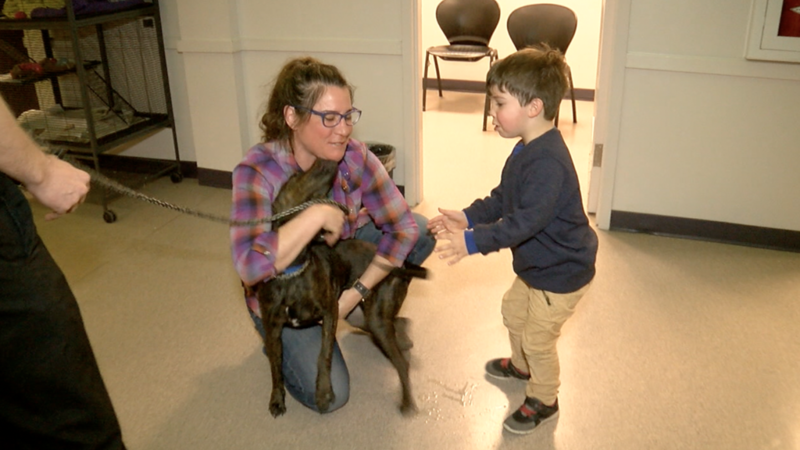 DENVER -- A mother and her 4-year-old son with special needs couldn't contain their excitement when they were reunited with their dog, Rubble. Someone stole the dog back in December and they didn't know if they would ever see him again. Kathryn Coogan had taken the 9-month old Plott Hound mix to a restaurant/bar on the 2200 block of West 32nd Avenue, tying his leash to the railing out front, while she went inside to visit with friends. When she went outside, the dog was gone. Ever since she's been searching, putting up flyers and ads on Craigslist. More than a month later, the Wheat Ridge mom received a phone call saying their dog was at the Dumb Friends League. She rushed over after work to pick him up with her son. Rubble is not only a family member, he is her son's therapy dog. Watch the emotional reunion in the video player above.